There’s over $250 in cash and prizes for the Cosplay, Plus, TOP 4 – Passes to Madman Anime Festival! 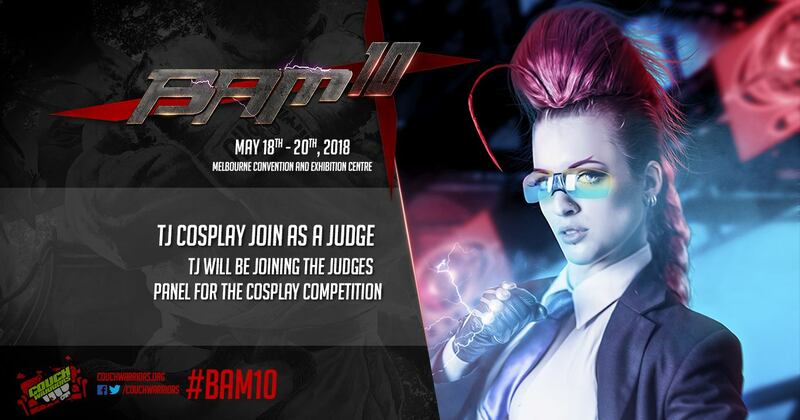 Photography: On the floor of BAM10, we will have a photo wall and photographer onsite, so there’ll be great shots to come from the event. We also welcome photographers to join the event! 1st Place $125 Cash and a BAM Trophy! Plus, AnimeLab Premium vouchers and Madman discs! TJ Cosplay will be head judge at the Cosplay event!